Mercedes has released new information about the facelifted CL63 AMG and CL65 AMG. Full details inside. Mercedes has released new information about the facelifted CL63 AMG and CL65 AMG. Like the standard 2011 CL, the AMG variants feature a revised grille, modified bumpers, and restyled headlights. Other exterior goodies include LED fog lights, 20-inch wheels, and an AMG exhaust system. Inside, the cabin is outfitted with premium leather upholstery, AMG heated / active ventilated front seats (with drive-dynamic multicontour support), a sport steering wheel, an AMG instrument cluster (with RACETIMER), and ambient lighting. Tech features include GPS navigation, an 11-speaker harman/kardon audio system, a 6-disc DVD/CD changer, and an 8-inch COMAND display. The CL63 AMG is powered by the new 5.5-liter biturbo V8 with 537 hp (400 kW / 544 PS) and 800 Nm (590 lb-ft) of torque. It is connected to a 7-speed SPEEDSHIFT MCT transmission (with Sport, Comfort and Manual shift modes) which enables the coupe to accelerate from 0-60 mph in 4.4 seconds, before topping out at an electronically limited 155 mph (249 km/h). 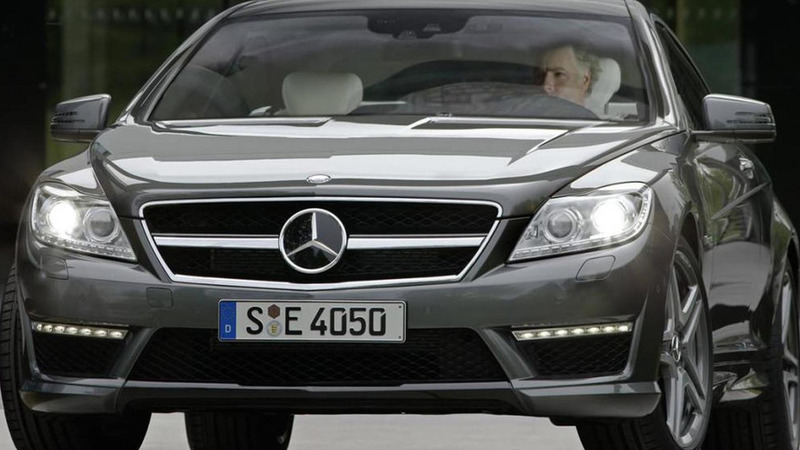 On the other hand, the CL65 AMG keeps the 6.0-liter V12 with 621 hp (463 kW / 630 PS) and 738 lb-ft (999 Nm) of torque. Since the 7-speed SPEEDSHIFT MCT can't handle all that power, Mercedes opted for the 5-speed SPEEDSHIFT transmission. It allows the car to accelerate from 0-60 mph in 4.2 seconds (just 0.2 seconds faster than the CL63) and hit an electronically limited top speed of 186 mph (299 km/h). Both cars also have an AMG-calibrated Active Body Control (ABC) suspension, an AMG-specific power-assisted speed-sensitive rack-and-pinion steering system, and a high performance braking system with cross-drilled discs which measure 15.4" in front and 14.4" in the rear.